"Arsenal away isn’t an easy fixture, but there are still doubts about the Gunners’ defence, and the Reds have scored 17 goals across their five most recent fixtures against Arsenal." Roberto Pereyra - £6.4m. Watford continued their return to form last weekend with a 3-0 win over Huddersfield and the players will be in confident mood ahead of their trip to Newcastle. The Magpies are yet to keep a clean sheet at home this season - losing all five outings - and the Hornets' top scorer has five goals in 10 appearances this year. Gylfi Sigurdsson - £7.4m. This perennial FPL favourite hasn't been getting the same kind of headlines as teammate, Richarlison, and while he is £0.6m more expensive, he could prove to be a bit of a differential pick for those chasing a mini-league leader. His ownership is 7.2% compared to the Brazilians' 24.3%, and with the Toffees facing Brighton at Goodison this weekend, the Icelandic set-piece king is well placed to add to his five goals and one assist. Everton's penalty-taker is 15/8 to find the net on Saturday. Wilfried Zaha- £6.9m. Not an obvious pick as struggling Palace travel to Stamford Bridge on Sunday, but there is some method to my madness. Zaha has scored three goals this season, and they were all away from home. He will get much more freedom against a top side, and Maurizio Sarri's men have conceded six times in five league matches at the Bridge this year - keeping just the one clean sheet. Derby also put two past them in the EFL Cup on Wednesday. Jamie Vardy - £9.0m. I am slightly uncomfortable in putting this selection in, given all that has gone on this week, but I just have this feeling that Leicester and Jamie Vardy will put in a huge performance at Cardiff on Saturday. Vardy only has three goals this term, but this situation reminds of what happened at Fiorentina back in March. Beloved captain, Davide Astori, passed away suddenly on March 4, and just seven days later his teammates beat Benevento. They then won their next four games too, after having previously won just two of eight. It's sure to be an emotional affair at Cardiff, but if the Foxes channel that emotion into their performance, they could honour their chairman with a victory against a Bluebirds team who have conceded a dozen home goals since their return to the top flight. Fabian Balbuena - £4.4m. There don't appear to be too many obvious clean sheets around this weekend, but one I quite like the look of is West Ham, at home to Burnley. The visitors have fired blanks in three of their five away matches this season, and while the Hammers have kept just the one clean sheet, their three most recent home league games were against Chelsea, Man United and Spurs - and they conceded just twice in total. Balbuena opened his goal-scoring account with a strike at the King Power last Saturday, and while the Paraguayan wasn't prolific at former club, Corinthians, he did find the net four times in 2017. The Hammers are 6/5 to keep a clean sheet on the Betfair Sportsbook. Anthony Martial - £7.4m. The French forward is back in favour with Jose Mourinho and he has repaid his faith with four goals in three games since he was drafted back into the starting XI. An assist and eight bonus points during that period too make him a snip at £7.4m, and he is still only selected by 5.8% of fantasy managers. Bournemouth have already conceded two against both Everton and Leicester at home this season, and we know that Eddie Howe won't be parking the bus, as that's just not his style. Benjamin Mendy - £6.4m. A second clean sheet I am obviously keen on is Manchester City at home to Southampton. Aside from the obvious gulf in class, the Saints have failed to find the net in any of their last five Premier League matches, while City have conceded only once at home. Mendy also offers plenty of attacking threat from his position at full-back, as he already has six assists to his name this year. Mohamed Salah - £13.0m. The Egyptian is the most expensive player in the game and is owned by 35% of managers. I have a theory on this though, as at the start of GW1 he featured in 2,478,960 teams, but last week that was down to 1,978,411. My conclusion is that a lot of "dead teams" will still have him, but those challenging at the top of mini-leagues won't. He is right back in form with two goals and two assists in his last two league matches, and he also netted twice in the Champions League. Arsenal away isn't an easy fixture, but there are still doubts about the Gunners' defence, and the Reds have scored 17 goals across their five most recent fixtures against Arsenal. Salah scored in the two he played in. 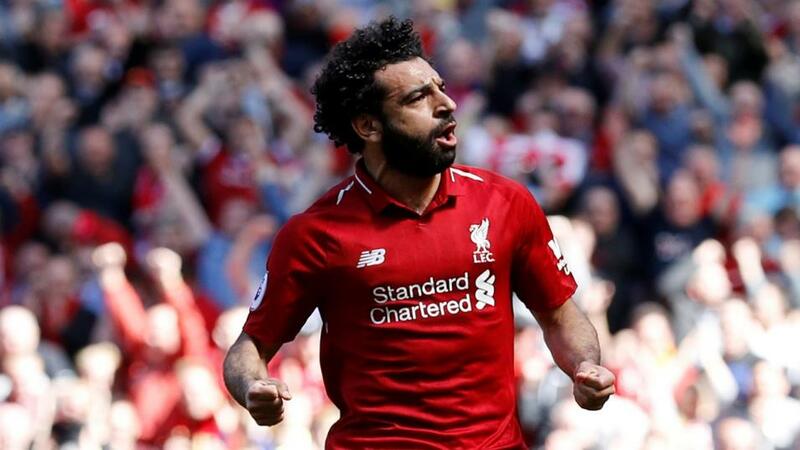 Mo Salah is available to back at 7/2 to score two or more at the Emirates. Harry Kane - £12.4m. Kane has just one goal in his last six starts for club and country, and his Spurs team are away at Molineux on Saturday evening. Wolves need to bounce back from back to back defeats, but they still aren't conceding many goals, and the England man could be in for a quiet time of things - especially as his teammates might be a bit fatigued. If you want to take me on, then Kane is evens to score anytime against Wolves. Alexandre Lacazette - £9.8m. While fellow forward, Pierre-Emerick Aubameyang, has been making an impact in fewer minutes on the pitch, Lacazette, has scored just two in five - and both of those came in the game at Fulham. He has missed some big chances too, and with Liverpool in town, Unai Emery, could potentially adopt a slightly more defensive approach, meaning that he only selects one of the above pair. My money would be on him siding with the man in form. The obvious pick is Sergio Aguero. City have Southampton at home and Aguero doesn't appear to be in danger of being rested. If you want a safe pick, then of course he is your man, but it's worth noting that he hasn't completed more than 70 minutes in any of his last half dozen league games, and he has only scored more than once in a game on one occasion. His early withdrawals are also hurting his bonus point tally. Credible alternatives are Mendy, Sigurdsson and Salah, but assuming he's available for selection again, Eden Hazard is the man for me, at home to Crystal Palace. Double check the team news though. Eden Hazard is 16/5 to open the scoring against Palace. *Remember the deadline to submit your teams for GW11 is 11:30 on Saturday.